With over 60 stellar reviews on Wedding Wire, Bouquet Bands has specialized in booking the best live Bluegrass, Country, and Americana musicians for weddings and corporate events since 2010. Our talented bands will liven up your cocktail party with some old-time Texas twang or send your guests two-stepping across floor. We also have Bluegrass and traditional string trios/quartets available for wedding ceremonies. With hundreds of events under our belt buckles, we've streamlined the booking process for your ease of mind and are happy to provide consultation over the phone on timeline and song selection. The Lost Pines: 2-5 band members. Acoustic guitar, banjo, mandolin, fiddle, upright bass. Male/Female lead vocals and 3-part harmonies. Bluegrass and Classic country original and covers. The Carper Family: Trio. Acoustic guitar, fiddle, upright bass. Female lead vocals and 3 part harmonies. Bluegrass, swing and Classic Country originals and covers. 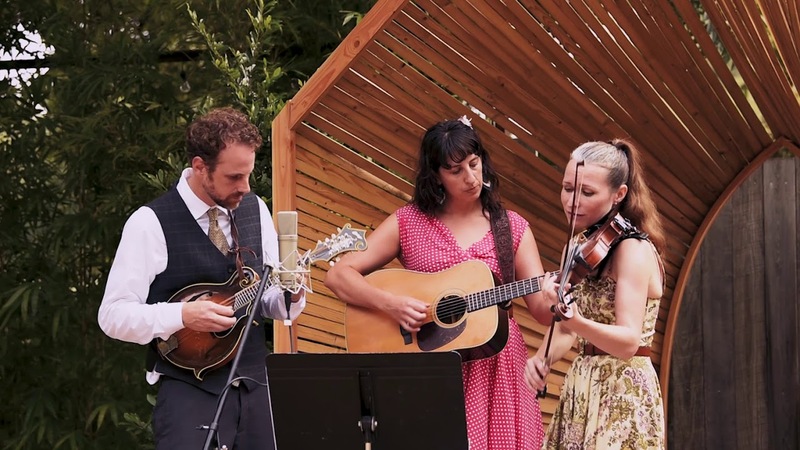 Let these three talented ladies get your wedding guests up and dancing with their classic blend of old-time Cowboy music, upbeat Bluegrass and Country Swing. Your wedding guests will feel like they’re “Home on the Range” as your Texas-inspired reception comes to life with fast fiddling, catchy tunes and sweet family-band harmonies. Fog & Bone: Duo. Acoustic guitar, mandolin, fiddle, harmonica. Bluegrass, Folk and Soul originals and covers. Male lead vocals and 2 part-harmonies. Classically trained fiddler Eddie Dickerson heads up this dynamic bluegrass duo, blending in guitar, mandolin and the incredible harmonica virtuosity of Matt Bradshaw. It's hard to believe so much sound and energy can come from just two musicians--perfect if you are looking for a group with a smaller footprint and maximum musicality that can still cover your favorite wedding ceremony songs. Jenny & The Corn Ponies: 3-5 band members. Acoustic guitar, lead guitar, upright bass, pedal steel, drums. Female lead vocals and 3-part harmonies. Classic Country and Rockabilly. Jenny & the Cornponies will bring down the house at your Western-themed wedding with their vast repertoire of Vintage Honky-Tonk and Rockabilly music, from Loretta Lynn to Patsy Cline and all your favorite Country wedding reception songs. Jenny’s sweeter-than-honey vocals combined with the Corn Ponies’ steady beat and hot licks are guaranteed to get your wedding guests on the dance floor for some serious Two-Steppin’. Do your guests need a quick two-step lesson to get them started? No problem. We can provide a great instructor who will teach your wedding guests everything they need to have a great time in no time! The Hard Truth. 2-4 band members. Acoustic guitar, mandolin, electric guitar, keyboard. Female lead vocals, 3-pat harmonies. Americana, Folk, Classic Rock. The Hard Truth is an Austin based Americana Folk band with an authentic home-grown sound. For a more low-key romantic western wedding vibe, The Hard Truth can play everything from classic country, 60’s & 70’s Folk to romantic wedding reception songs. Acoustic guitar, mandolin and soulful electric guitar will keep your cocktail hour festive until they bust out the dance tunes and keep those boots stomping all night long! 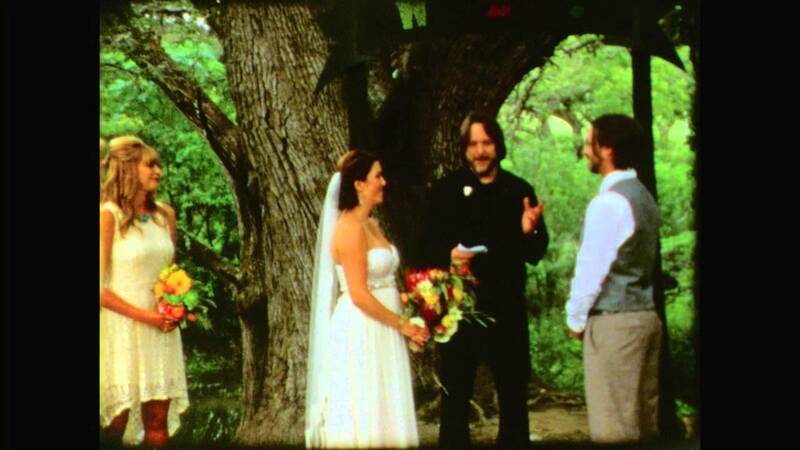 Bouquet Bands' founder Talia Bryce has been booking music for weddings in Austin and the surrounding area since 2008. Her goal is to make your wedding band hiring process as seamless and painless as possible and make the music the most memorable part of your special day. 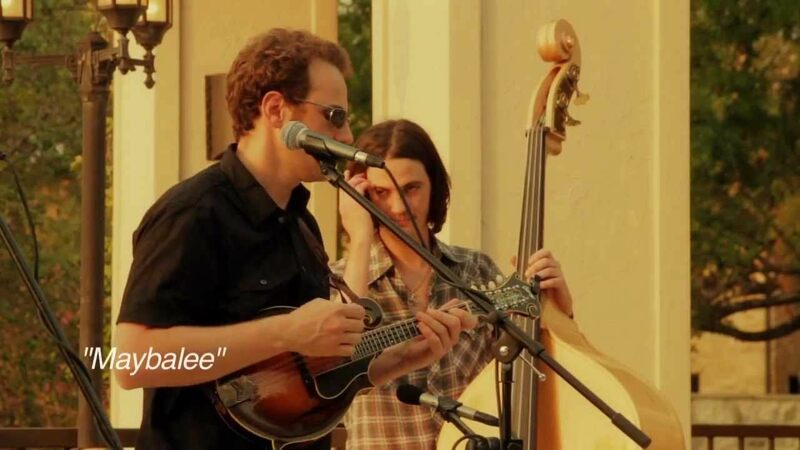 Originally from New York City, Talia moved to Austin in 2007 and started the Lost Pines bluegrass band, which has grown to become Austin’s premier bluegrass wedding band. Having booked and played hundreds of weddings and events with the Lost Pines, Talia has gained a unique insight into how to make a wedding truly special and has perfected the art of finding the ideal musical fit for every ceremony, cocktail hour, reception and special occasion. She also manages the whimsically hip and gorgeous east Austin wedding venue Tillery Place located behind the Tillery Street Plant Company and in 2010 founded Farmgrass, a nonprofit that uses music and events to raise money for local Central Texas farmers. She lives in South Austin with her husband Tym and 2 beautiful kiddos Ceila and Sawyer. 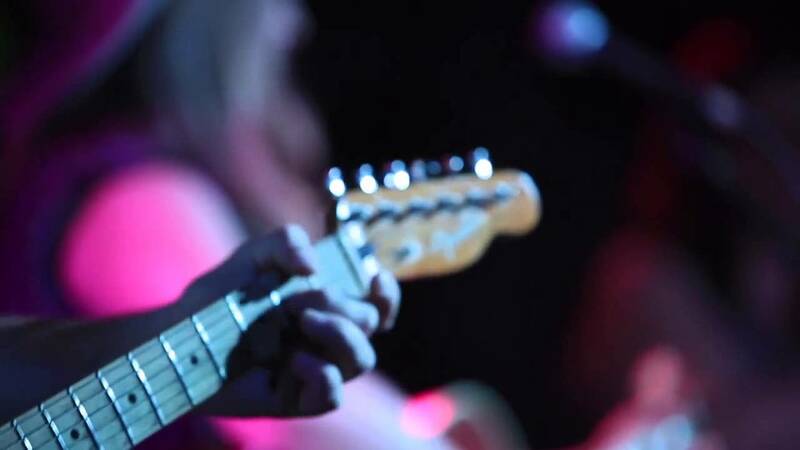 Bouquet Bands has talented and professional bands available now for your upcoming wedding or event and represent the best live wedding music the Austin, TX music scene has to offer. Whether you are seeking a single fiddle for your ceremony, classical or bluegrass string quartets, upbeat, old-timey background music for your cocktail hour, or a floor-stomping hoedown for your reception, our Bluegrass, Country, and Americana bands can't be beat. Don't see exactly what you are looking for on our band pages? Drop us a line and tell us what you have in mind. We have access to an impressive pool of additional bands and musicians and we specialize finding the perfect live wedding music for your special day. Client shall be responsible for providing the performance area. If band is playing outdoors, area must be shaded from sun and protected from rain. Band has to the right to refuse to perform if area is not adequately covered and ground is not dry .Client must ensure proper electrical access and capacity. The band cannot be held responsible for power interruptions. In the event a power outage prevents all or part of a performance, no payment shall be reimbursed to client. Any lighting must be provided by client if desired by client. The band shall be responsible for providing sound system for their performance. Unless otherwise agreed upon, the band has no obligation to provide use of sound system to any other Third Party.